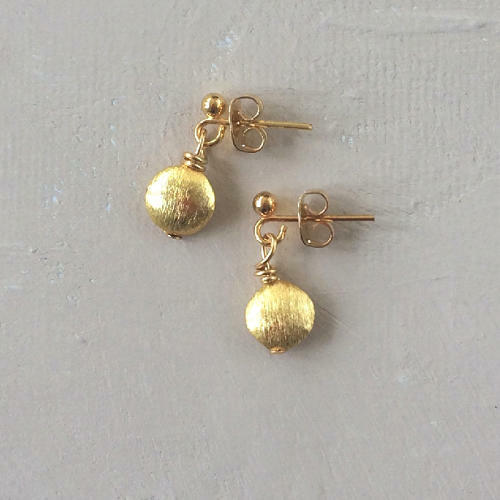 Versatile, dainty gold or silver plated nugget beads on earring posts. Diameter 1cm. Hypoallergenic and nickel free.